If you are looking for a slice of the luxury Marbella lifestyle, then Villa Issabella has it all! Everything has been designed to give you and your guests the best luxury holiday experience ever. From the new huge infinity pool with incredible sea views, to the 10 person jacuzzi, outside bar, fitted day beds, tropical gardens, huge bedrooms and amazing en suite bathrooms, this is somewhere you want to wake up every day! The master bedrooms are spacious, light, airy and all the bedrooms have air conditioning, 5 star mattresses, quality linen, fluffy towels and en suites. This amazing villa is in an exclusive area, with very gardens that are not overlooked and ground security so you are assured of the utmost privacy during your stay. Enjoy the purpose built outside dining area, waterfall pond with exotic fish, extensive night lighting and many fitted day beds to relax on in the sunshine. There is also a garage for up to 3 cars. The location is absolutely perfect. 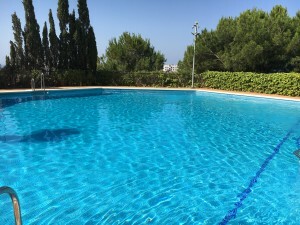 Situated in the hills just behind Marbella in Elviria, famous for its white sandy beaches and 5 star restaurants. It's just a short 5 minutes drive to the famous Nikki Beach if you want to party, renowned restaurants, shopping, yachts and chilled out beach bars. With superb fish always a speciality all along this coast. Just 10 minutes drive to Puerto Banus and all this famous hotspot has to offer. We can help with limousines, airport transfers, chefs and catering, housekeeping, over 300 activities in the area from wakeboarding to yachts, buggy rides to horse riding and everything in between. Due to a last minute block booking cancellation we have availability in July and August 2016 so please ask about your dates. 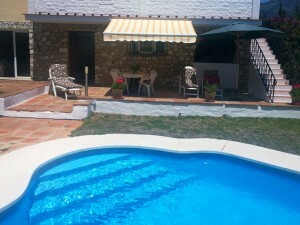 This villa is superb value for money and we guarantee you a fantastic and memorable stay.